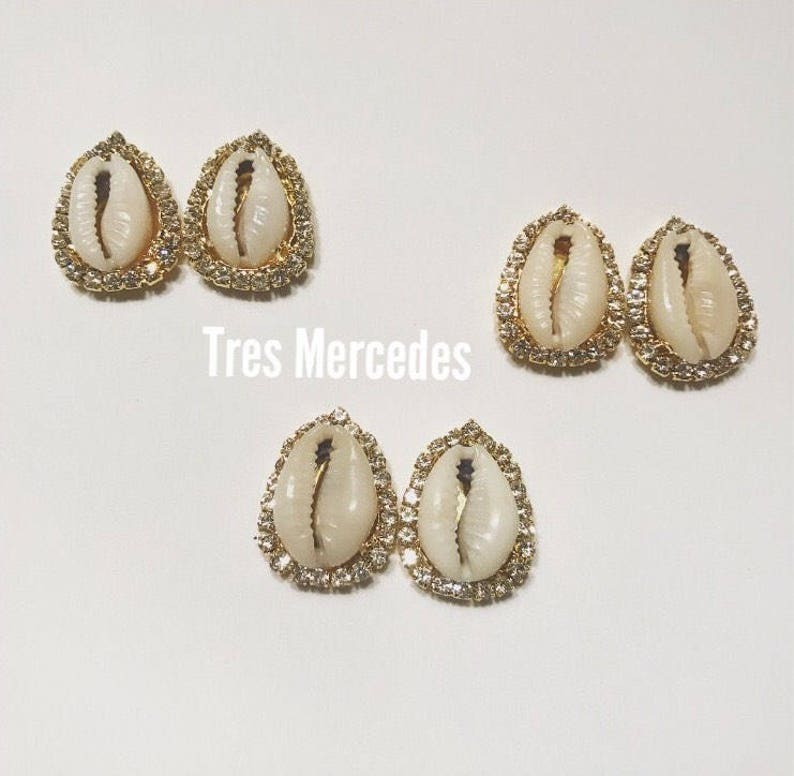 Choice of natural color cowrie, brass, silver. about the size of an nickel. Thank you& many continued blessings, Queen. These earrings are very beautiful, I would absolutely shop here again! LOVE!!!!! These are dressy but can be made casual as well. Basically, they're my daily go-to earrings. This shop is delicious! I got a compliment the first day I wore them (I also passed along the store information). These are simply beautiful, fun to dress up jeans and a tee or wear with a dress(also great quality). Small but a statement piece.